Welcome to EFT Training Worldwide. Emotional Freedom Techniques , EFT or 'tapping' as it is more commonly known and is recognised worldwide as an effective and often rapid technique that assists the body in becoming balanced through the 'energy system'. A balanced body has the ability to start healing or even heal itself. If you are new to Emotional Freedom Techniques then visit our sister site EFT Spain International. Many professionals now choose EFT as their preferred technique and testify to it's remarkable effectiveness. Learning EFT is a 'Gift for Life ' and can be used for yourself, family, friends or to a professionally qualified level. Professionals often add EFT as an adjunct to their practice due to its efficacy. Training is available in nearly all countries with AAMET International which is 'The Association for the Advancement of Meridian Energy Techniques´with accredited courses. 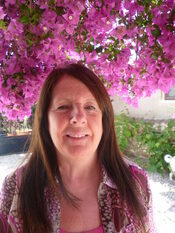 Marie is an AAMET International Master Trainer of Trainer who trains courses worldwide and ensures students can have the assurance and quality that comes with a respected organisation such as AAMET International. Learning EFT is a skill for life which is simple to learn and easy to use yet with many skills required at a professional level. You can learn EFT as a stand alone technique for yourself, family & friends or as an adjunct to compliment your own therapy or profession. Many of the medical profession use EFT, psychologists, acupuncturists, reflexologists, counsellors, coaches and voluntary workers in disaster and war zones for trauma. The numbers are growing of EFT Practitioners who work in Doctors practices and medical centres in the NHS . Whatever level you would like to take in EFT , there is a course available to suit you. Level 1 is a Foundational course for use with yourself, family and friends. Non professional. Level 2 is a Practitioner Course which following the course involves studying towards professionally qualified certification, recognised worldwide through AAMET. Level 1 is a pre - requisite. Advanced Practitioner Level 3 where you can take your learning and development of EFT skills to the next level towards a professionally, advanced expert status. ( Level 1 & Level 2 are pre - requisites for Level 3 ) This level is required for those aspiring to become Master Trainers. Master Trainer level is for those who have studied and practiced EFT for many years and built up their knowledge base with clients and match up to the stringent criteria laid down by AAMET International and who wish to teach EFT. All levels 1, 2 and 3 are a pre requisite. Master Trainer of Trainers. There are only a few worldwide who have reached a level where they are certified by AAMET's rigorous standards to train Trainers and give certification through AAMET International. Please look through the site and decide which level or course is right for you. Marie is here to advise, guide or help with any enquiry you may have about EFT, AAMET, the courses or certification.Contact me here. Learn EFT in this beautiful part of Spain or I can train you in your country dependent on group sizes. I am usually in England twice a year teaching courses.